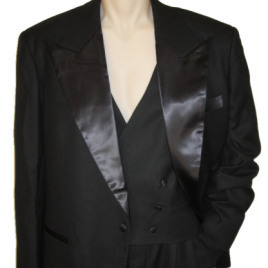 This unique tuxedo features a single-breasted peaked lapel jacket with contrasing satin lapels. 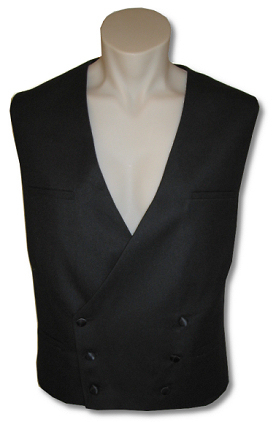 The double-breasted vest has matching satin buttons and four pockets. 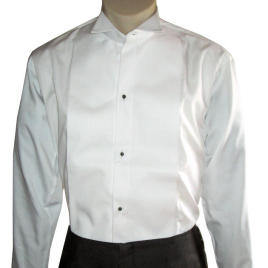 The high-rise trousers have a split back and satin piping down the legs. 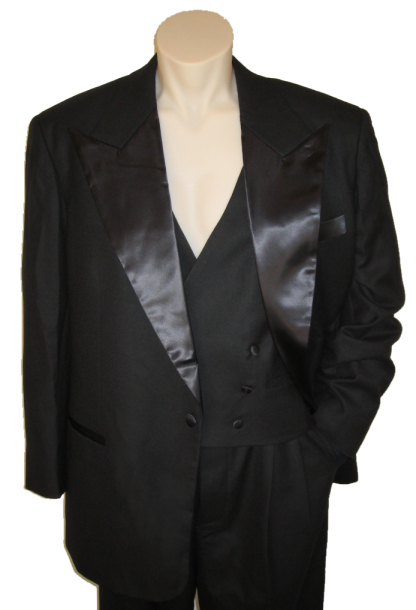 Other vintage details include working sleeve buttons, button-fly and working button hole backed to hold any flower of your choice. 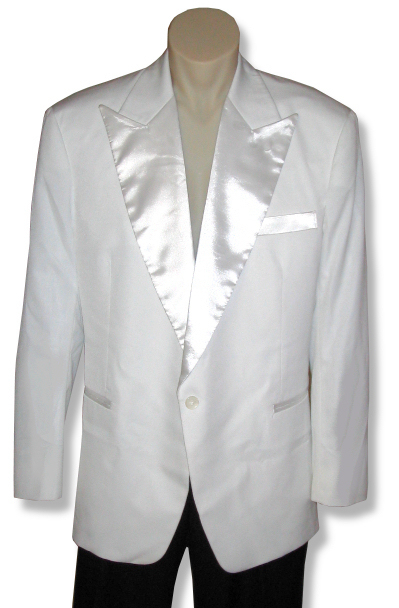 Contrasting Satin can be replaced with a less striking Cashmere/Silk fabric or matching fabric.